Promotional Bulk SMS is one of the cheapest marketing method according to the Indian market. Where your company can create awareness SMS about your brand, product, service or any offer in a second with a single click by sending bulk SMS, You can also send your clients and customers new offers, new products detail or any events right away. 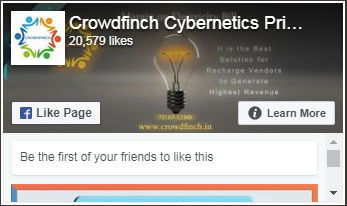 Crowdfinch offers Promotional Bulk SMS that can be used for Brand Promotion, Offers, product marketing, and general awareness. Delivery Time – 0 to 2Hrs Maximum. Delivery Report - Instant bulk SMS Delivery Report. Bulk SMS Gateway API can be provided to integrate on your application / website portal. Any kind of information sharing sms comes under transactional SMS. Transactional bulk SMS services are good medium for sending alerts/reminders/updates to your company’s existing clients. It is so easy to send bulk SMS throughout the globe with user-friendly web interface. Government has declared certain categorize to send Transactional bulk SMS. 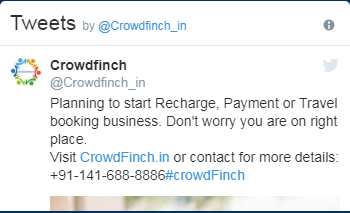 If you own a company then Crowdfinch require details on how your customers are subscribing or getting registered and one sample of subscription form is mandatory.